In Keyboard Maestro I want to create a list of keyboard shortcuts, and then under each keyboard shortcut an action to be performed on a per-app basis if that application is active. For example, when I press ⌘Left, I always want to switch to the tab to the left. I want this action to apply in Chrome, Safari, Xcode, and other apps. The actions in each app may have different menu bar item names, but I want to save them as a single Keyboard Maestro macro for easier grouping. But when I set up Keyboard Maestro as seen in the screenshot, this activates all of the actions. 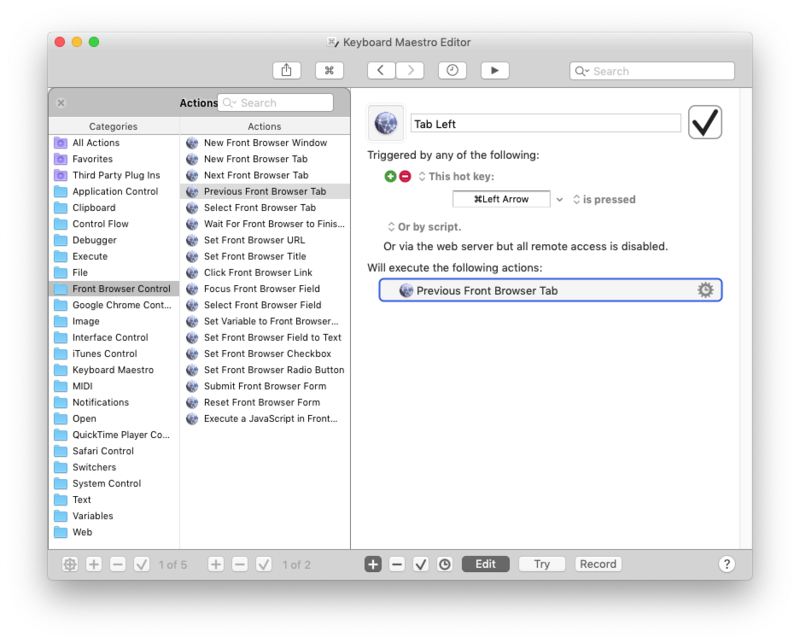 Regardless of which app is active, both Chrome and Safari run that action. How can I set it so that only the active application performs the action, and give it a list of all possible application/action pairs? If you nest each application-specific action within an If statement that checks whether the relevant app is at the front, it should work. 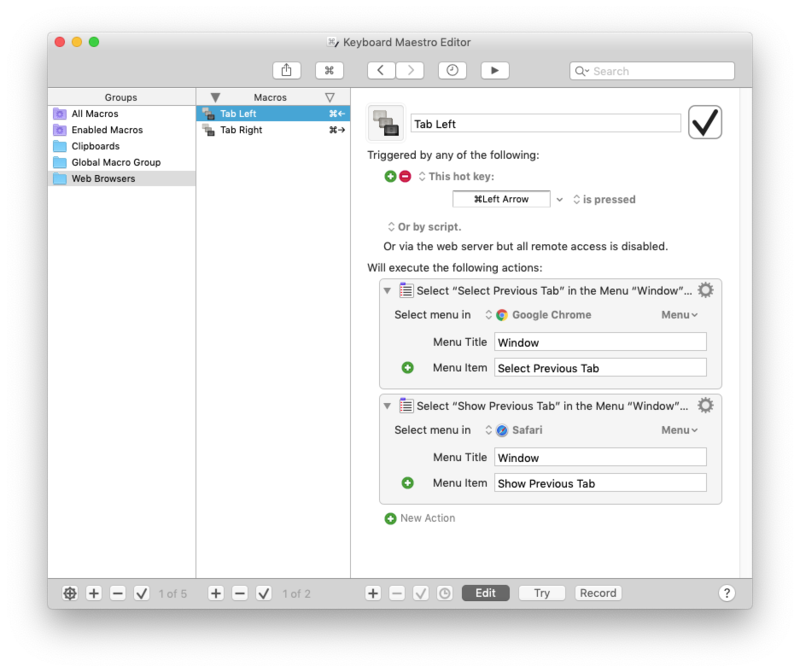 Keyboard Maestro has an Action Category "Front Browser Control" that can be used to send generic commands to web browsers.